For other uses, see Library (disambiguation). A library is a collection of sources of information and similar resources, made accessible to a defined community for reference or borrowing. It provides physical or digital access to material, and may be a physical building or room, or a virtual space, or both. A library's collection can include books, periodicals, newspapers, manuscripts, films, maps, prints, documents, microform, CDs, cassettes, videotapes, DVDs, Blu-ray Discs, e-books, audiobooks, databases, and other formats. Libraries range in size from a few shelves of books to several million items. In Latin and Greek, the idea of a bookcase is represented by Bibliotheca and Bibliothēkē (Greek: βιβλιοθήκη): derivatives of these mean library in many modern languages, e.g. French bibliothèque. The first libraries consisted of archives of the earliest form of writing—the clay tablets in cuneiform script discovered in Sumer, some dating back to 2600 BC. Private or personal libraries made up of written books appeared in classical Greece in the 5th century BC. In the 6th century, at the very close of the Classical period, the great libraries of the Mediterranean world remained those of Constantinople and Alexandria. A library is organized for use and maintained by a public body, an institution, a corporation, or a private individual. Public and institutional collections and services may be intended for use by people who choose not to—or cannot afford to—purchase an extensive collection themselves, who need material no individual can reasonably be expected to have, or who require professional assistance with their research. In addition to providing materials, libraries also provide the services of librarians who are experts at finding and organizing information and at interpreting information needs. Libraries often provide quiet areas for studying, and they also often offer common areas to facilitate group study and collaboration. Libraries often provide public facilities for access to their electronic resources and the Internet. Modern libraries are increasingly being redefined as places to get unrestricted access to information in many formats and from many sources. They are extending services beyond the physical walls of a building, by providing material accessible by electronic means, and by providing the assistance of librarians in navigating and analyzing very large amounts of information with a variety of digital resources. Libraries are increasingly becoming community hubs where programs are delivered and people engage in lifelong learning. As community centers, libraries are also becoming increasingly important in helping communities mobilize and organize for their rights. The relationship between librarianship and human rights works to ensure that the rights of cultural minorities, immigrants, the homeless, the disabled, LGBTQ community , as well as other marginalized groups are not infringed upon as protected in the Universal Declaration of Human Rights. The first libraries consisted of archives of the earliest form of writing—the clay tablets in cuneiform script discovered in temple rooms in Sumer, some dating back to 2600 BC. These archives, which mainly consisted of the records of commercial transactions or inventories, mark the end of prehistory and the start of history. Things were much the same in the government and temple records on papyrus of Ancient Egypt. The earliest discovered private archives were kept at Ugarit; besides correspondence and inventories, texts of myths may have been standardized practice-texts for teaching new scribes. There is also evidence of libraries at Nippur about 1900 BC and those at Nineveh about 700 BC (the Library of Ashurbanipal) showing a library classification system. Over 30,000 clay tablets from the Library of Ashurbanipal have been discovered providing modern scholars with an amazing wealth of Mesopotamian literary, religious and administrative work. 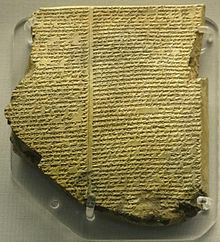 Among the findings were the Enuma Elish, also known as the Epic of Creation, which depicts a traditional Babylonian view of creation; the Epic of Gilgamesh; a large selection of "omen texts" including Enuma Anu Enlil which "contained omens dealing with the moon, its visibility, eclipses, and conjunction with planets and fixed stars, the sun, its corona, spots, and eclipses, the weather, namely lightning, thunder, and clouds, and the planets and their visibility, appearance, and stations"; and astronomic/astrological texts, as well as standard lists used by scribes and scholars such as word lists, bilingual vocabularies, lists of signs and synonyms, and lists of medical diagnoses. The tablets were stored in a variety of containers such as wooden boxes, woven baskets of reeds, or clay shelves. The "libraries" were cataloged using colophons, which are a publisher's imprint on the spine of a book, or in this case a tablet. The colophons stated the series name, the title of the tablet, and any extra information the scribe needed to indicate. Eventually, the clay tablets were organized by subject and size. Unfortunately, due to limited to bookshelf space, once more tablets were added to the library, older ones were removed, which is why some tablets are missing from the excavated cities in Mesopotamia. According to legend, mythical philosopher Laozi was keeper of books in the earliest library in China, which belonged to the Imperial Zhou dynasty. Also, evidence of catalogues found in some destroyed ancient libraries illustrates the presence of librarians. Persia at the time of the Achaemenid Empire (550–330 BC) was home to some outstanding libraries. Those libraries within the kingdom had two major functions: the first came from the need to keep the records of administrative documents including transactions, governmental orders, and budget allocation within and between the Satrapies and the central ruling State. The second function was to collect precious resources on different subjects of science and set of principles e.g. medical science, astronomy, history, geometry and philosophy. In 1933 an impressive collection of clay tablets discovered by the University of Chicago in Persepolis revealed the strong tendency of the Achaemenids to record, classify and store their documents as the backbone of their ruling system throughout a vast territory. The content of these baked tablets written in Old Persian, Elamite and Babylonian vary from records of sales, taxes, payments, treasury details to remarkable social, artistic and philosophical aspects of ordinary life in the Empire. These uniquely important tablets, known as the Persepolis Fortification Archive, are the property of Iran. A part of this impressive library archive is now kept in Iran and a great proportion of it is with the hand of Chicago Oriental Institute as a long term loan for the purpose of studying, analysing and translating. Some scholars during the early Islamic period declared that there was a number of mega libraries in Iran before the conquest of Alexander III of Macedon. One of them is believed to be in an ancient city called Estakhr located nearby Persepolis. In the 10th century, Ibn al-Nadim, a well-known Muslim bibliographer, stated that following the conquest, the majority of the resources in different streams of science were taken from Persia's main libraries to Egypt. They were later translated into Roman, Egyptian, Coptic and Greek and used as a remarkable body of science in the Library of Alexandria. The rest is said to be set on fire and burnt by Alexander militants. There are some pieces of evidence indicating the existence of a sizeable building in Isfahan, Jey, named Sarouyeh being used by Iran's ancient dynasties for storing the enormous amount of precious books and manuscripts. The primary purpose of such a monument was to keep the books from any potential damages and hazards causing by natural disasters and wars. At least three Islamic scholars, Al Biruni, Abu Maʿshar, and Hamza al-Isfahani mentioned this hidden library in their works. They had been real observers of some of the revealed books coming out of the hidden library ruins. Observers claimed that most of the manuscripts were written on barks of a tree called Touz or Khadang. It seems that some rare and valuable books from this treasury were baled and transferred to Baghdad for later reading and translating. As reported by observers, at the time of unearthing the Libray, the used alphabet in the manuscripts was unknown to the ordinary people. The Library of Alexandria, in Egypt, was the largest and most significant great library of the ancient world. It flourished under the patronage of the Ptolemaic dynasty and functioned as a major center of scholarship from its construction in the 3rd century BC until the Roman conquest of Egypt in 30 BC. The library was conceived and opened either during the reign of Ptolemy I Soter (323–283 BC) or during the reign of his son Ptolemy II (283–246 BC). An early organization system was in effect at Alexandria. During Sassanid Empire collection of books drew the attention of rulers and priests. Priests intended to gather the spread and unknown Zoroastrianism manuscripts and rulers were keen on collection and promotion of science. Many Zoroastrian temples were accompanied by a library that was designed to collect and promote religious content. . One of the main outcomes of rulers’ interest in consolidating the science in the country was the establishment of Gundeshapur Scientific Centre being composed of a library, a hospital and an accompanying academy at the time of the King Shapur I. For the sake of enriching the existing Library resources, ambassadors were sent to widespread geographical regions e.g. China, Rome and India to inscribe the manuscripts, codices, and books; translated them to Pahlavi from diverse languages e.g. Sanskrit, Greek and Syriac and brought them to Academy of Gundishapur. The Library of Celsus in Ephesus, Anatolia, now part of Selçuk, Turkey was built in honor of the Roman Senator Tiberius Julius Celsus Polemaeanus (completed in 135) by Celsus' son, Gaius Julius Aquila (consul, 110 AD). The library was built to store 12,000 scrolls and to serve as a monumental tomb for Celsus. Private or personal libraries made up of written books (as opposed to the state or institutional records kept in archives) appeared in classical Greece in the 5th century BC. The celebrated book collectors of Hellenistic Antiquity were listed in the late 2nd century in Deipnosophistae. All these libraries were Greek. The cultivated Hellenized diners in Deipnosophistae pass over the libraries of Rome in silence. By the time of Augustus, there were public libraries near the forums of Rome. There were libraries in the Porticus Octaviae near the Theatre of Marcellus, in the temple of Apollo Palatinus, and in the Bibliotheca Ulpiana in the Forum of Trajan. The state archives were kept in a structure on the slope between the Roman Forum and the Capitoline Hill. Private libraries appeared during the late republic: Seneca inveighed against libraries fitted out for show by illiterate owners who scarcely read their titles in the course of a lifetime, but displayed the scrolls in bookcases (armaria) of citrus wood inlaid with ivory that ran right to the ceiling: "by now, like bathrooms and hot water, a library is got up as standard equipment for a fine house (domus). Libraries were amenities suited to a villa, such as Cicero's at Tusculum, Maecenas's several villas, or Pliny the Younger's, all described in surviving letters. At the Villa of the Papyri at Herculaneum, apparently the villa of Caesar's father-in-law, the Greek library has been partly preserved in volcanic ash; archaeologists speculate that a Latin library, kept separate from the Greek one, may await discovery at the site. In the West, the first public libraries were established under the Roman Empire as each succeeding emperor strove to open one or many which outshone that of his predecessor. Rome's first public library was established by Asinius Pollio. Pollio was a lieutenant of Julius Caesar and one of his most ardent supporters. After his military victory in Illyria, Pollio felt he had enough fame and fortune to create what Julius Caesar had sought for a long time: a public library to increase the prestige of Rome and rival the one in Alexandria. Pollios's library, the Anla Libertatis, which was housed in the Atrium Libertatis, was centrally located near the Forum Romanum. It was the first to employ an architectural design that separated works into Greek and Latin. All subsequent Roman public libraries will have this design. At the conclusion of Rome's civil wars following the death of Marcus Antonius in 30 BC, the Emperor Augustus sought to reconstruct many of Rome's damaged buildings. During this construction, Augustus created two more public libraries. The first was the library of the Temple of Apollo on the Palatine, often called the Palatine library, and the second was the library of the Porticus of Octaviae. Two more libraries were added by the Emperor Tiberius on Palatine Hill and one by Vespasian after 70 AD. Vespasian's library was constructed in the Forum of Vespasian, also known as the Forum of Peace, and became one of Rome's principal libraries. The Bibliotheca Pacis was built along the traditional model and had two large halls with rooms for Greek and Latin libraries containing the works of Galen and Lucius Aelius. One of the best preserved was the ancient Ulpian Library built by the Emperor Trajan. Completed in 112/113, the Ulpian Library was part of Trajan's Forum built on the Capitoline Hill. Trajan's Column separated the Greek and Latin rooms which faced each other. The structure was approximately fifty feet high with the peak of the roof reaching almost seventy feet. 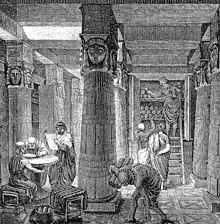 Unlike the Greek libraries, readers had direct access to the scrolls, which were kept on shelves built into the walls of a large room. Reading or copying was normally done in the room itself. The surviving records give only a few instances of lending features. Most of the large Roman baths were also cultural centres, built from the start with a library, a two-room arrangement with one room for Greek and one for Latin texts. Libraries were filled with parchment scrolls as at Library of Pergamum and on papyrus scrolls as at Alexandria: the export of prepared writing materials was a staple of commerce. There were a few institutional or royal libraries which were open to an educated public (such as the Serapeum collection of the Library of Alexandria, once the largest library in the ancient world), but on the whole collections were private. In those rare cases where it was possible for a scholar to consult library books, there seems to have been no direct access to the stacks. In all recorded cases, the books were kept in a relatively small room where the staff went to get them for the readers, who had to consult them in an adjoining hall or covered walkway. Most of the works in catalogs were of a religious nature, such as volumes of the Bible or religious service books. "In a number of cases the library was entirely theological and liturgical, and in the greater part of the libraries the non-ecclesiastical content did not reach one third of the total" In addition to these types of works, in some libraries during that time Plato was especially popular. In the early Middle Ages, Aristotle was more popular. Additionally, there was quite a bit of censoring within libraries of the time; many works that were "scientific and metaphysical" were not included in the majority of libraries during that time period. Latin authors were better represented within library holdings and Roman works were less represented. Cicero was also an especially popular author along with the histories of Sallust. Additionally, Virgil was universally represented at most of the medieval libraries of the time. One of the most popular was Ovid, mentioned by approximately twenty French catalogues and nearly thirty German ones. Surprisingly, old Roman textbooks on grammar were still being used at that time. Han Chinese scholar Liu Xiang established the first library classification system during the Han dynasty, and the first book notation system. At this time, the library catalogue was written on scrolls of fine silk and stored in silk bags. During the Late Antiquity and Middle Ages periods, there was no Rome of the kind that ruled the Mediterranean for centuries and spawned the culture that produced twenty-eight public libraries in the urbs Roma. The empire had been divided then later re-united again under Constantine the Great who moved the capital of the Roman Empire in 330 AD to the city of Byzantium which was renamed Constantinople. The Roman intellectual culture that flourished in ancient times was undergoing a transformation as the academic world moved from laymen to Christian clergy. As the West crumbled, books and libraries flourished and flowed east toward the Byzantine Empire. There, four different types of libraries were established: imperial, patriarchal, monastic, and private. Each had its own purpose and, as a result, their survival varied. Christianity was a new force in Europe and many of the faithful saw Hellenistic culture as pagan. As such, many classical Greek works, written on scrolls, were left to decay as only Christian texts were thought fit for preservation in a codex, the progenitor of the modern book. In the East, however, this was not the case as many of these classical Greek and Roman texts were copied. "[F]ormerly paper was rare and expensive, so every spare page of available books was pressed into use. Thus a seventeenth-century edition of the Ignatian epistles, in Mar Saba, had copied onto its last pages, probably in the early eighteenth century, a passage allegedly from the letters of Clement of Alexandria". Old manuscripts were also used to bind new books because of the costs associated with paper and also because of the scarcity of new paper. In Byzantium, much of this work devoted to preserving Hellenistic thought in codex form was performed in scriptoriums by monks. While monastic library scriptoriums flourished throughout the East and West, the rules governing them were generally the same. Barren and sun-lit rooms (because candles were a source of fire) were major features of the scriptorium that was both a model of production and monastic piety. Monks scribbled away for hours a day, interrupted only by meals and prayers. With such production, medieval monasteries began to accumulate large libraries. These libraries were devoted solely to the education of the monks and were seen as essential to their spiritual development. Although most of these texts that were produced were Christian in nature, many monastic leaders saw common virtues in the Greek classics. As a result, many of these Greek works were copied, and thus saved, in monastic scriptoriums. When Europe passed into the Dark Ages, Byzantine scriptoriums laboriously preserved Greco-Roman classics. As a result, Byzantium revived Classical models of education and libraries. The Imperial Library of Constantinople was an important depository of ancient knowledge. Constantine himself wanted such a library but his short rule denied him the ability to see his vision to fruition. His son Constantius II made this dream a reality and created an imperial library in a portico of the royal palace. He ruled for 24 years and accelerated the development of the library and the intellectual culture that came with such a vast accumulation of books. Constantius II appointed Themistius, a pagan philosopher and teacher, as chief architect of this library building program. Themistius set about a bold program to create an imperial public library that would be the centerpiece of the new intellectual capital of Constantinople. Classical authors such as Plato, Aristotle, Demosthenes, Isocrates, Thucydides, Homer, and Zeno were sought. Themeistius hired calligraphers and craftsman to produce the actual codices. He also appointed educators and created a university-like school centered around the library. After the death of Constantius II, Julian the Apostate, a bibliophile intellectual, ruled briefly for less than three years. Despite this, he had a profound impact on the imperial library and sought both Christian and pagan books for its collections. Later, the Emperor Valens hired Greek and Latin scribes full-time with funds from the royal treasury to copy and repair manuscripts. At its height in the 5th century, the Imperial Library of Constantinople had 120,000 volumes and was the largest library in Europe. A fire in 477 consumed the entire library but it was rebuilt only to be burned again in 726, 1204, and in 1453 when Constantinople fell to the Ottoman Turks. Patriarchal libraries fared no better, and sometimes worse, than the Imperial Library. The Library of the Patriarchate of Constantinople was founded most likely during the reign of Constantine the Great in the 4th century. As a theological library, it was known to have employed a library classification system. It also served as a repository of several ecumenical councils such as the Council of Nicea, Council of Ephesus, and the Council of Chalcedon. The library, which employed a librarian and assistants, may have been originally located in the Patriarch's official residence before it was moved to the Thomaites Triclinus in the 7th century. While much is not known about the actual library itself, it is known that many of its contents were subject to destruction as religious in-fighting ultimately resulted in book burnings. During this period, small private libraries existed. Many of these were owned by church members and the aristocracy. Teachers also were known to have small personal libraries as well as wealthy bibliophiles who could afford the highly ornate books of the period. Thus, in the 6th century, at the close of the Classical period, the great libraries of the Mediterranean world remained those of Constantinople and Alexandria. Cassiodorus, minister to Theodoric, established a monastery at Vivarium in the toe of Italy (modern Calabria) with a library where he attempted to bring Greek learning to Latin readers and preserve texts both sacred and secular for future generations. As its unofficial librarian, Cassiodorus not only collected as many manuscripts as he could, he also wrote treatises aimed at instructing his monks in the proper uses of reading and methods for copying texts accurately. In the end, however, the library at Vivarium was dispersed and lost within a century. Through Origen and especially the scholarly presbyter Pamphilus of Caesarea, an avid collector of books of Scripture, the theological school of Caesarea won a reputation for having the most extensive ecclesiastical library of the time, containing more than 30,000 manuscripts: Gregory of Nazianzus, Basil the Great, Jerome, and others came and studied there. By the 8th century, Iranians and then Arabs learnt the techniques of papermaking from Chinese. Paper mills were mainly located in Baghdad and the type of produced paper was then called Bagdatikos. From the art, Muslims developed papermaking into an industry. As a result of this technical enhancement, the books were more easily manufactured and they were more broadly accessible. Coincided with the encouragement of science and a breakthrough in the translation movement, public and private libraries started to boost all around Islamic lands. A series of outstanding libraries within the Islamic territories were founded and flourished alongside Islam spread. They were called House of Knowledge or Dar al-'ilm. At the time libraries were the place that books and manuscripts were collected, read, copied, reproduced and borrowed by students, masters and even ordinary people. In addition to remarkable standing-alone libraries, there were prevalent medium-sized book collections that were mainly located inside the schools or Madrasa throughout the major Islamic cities. Libraries’ resources, based on their serving target groups and the founder’s set of interests and the Islamic sect, entailed a broad range of subjects e.g. religion, science, astrology, geography, literature, history and linguistics. Throughout the Islamic era, not only private and academic libraries, but also public libraries became very popular. The patrons were not limited to elites, rather the resources were openly accessible to everyone. Some of the libraries were said to let patrons check out up to 200 items. The library designers noticed the comfort of readers and information seekers. The floor of reading rooms was covered by carpets. Also, openings such as doors and windows were secured closed as to protect patrons against cold drafts..The libraries often employed translators and copyists in large numbers, in order to render the books into Arabic from Persian, Greek, Roman and Sanskrit. The 9th-century Abbasid Caliph al-Mutawakkil of Iraq, ordered the construction of a "zawiyat qurra" – an enclosure for readers which was "lavishly furnished and equipped". Yahya ibn Abi Mansur (Ibn Munajem) Library- 9th century- As a Khalifah’s Chief Astrologer, he was the owner of a luxurious palace containing a tremendous library with numerous books in different sets of disciplines and science, in particular, astrology. This library was called “Treasury of Wisdom” or “Khazanah Al-Hekmah”. Nuh Ibn Mansour Samani Library- Bukhara-10th century: Samanid Empire rulers were famous for showing a considerable passion for culture and science and their consistent support for promoting libraries. Nuh II had a sizable library. Avicenna who was one of the visitors to Mansour’s library in Bukhara has described it as extraordinary in terms of the number of volumes and the value of books. Looking for a certain item in medicine, he requested an entry permit from the Sultan to browse the library storage space. The book stack had been composed of plenty of rooms, each room had contained numerous boxes and each box had been filled with stacks of books as he reported. Baha al-Dowleh and Azod al-Dowleh Daylami Library-Shiraz- 10th century: These regional rulers from Iranian Daylamites Dynasty were owners of one of the most prominent libraries within the Islamic lands. As stated by al-Muqaddasi, a reputable Islamic historian and geographer, a copy of each and every book he had ever seen during his life and travels, all were presented in Azod al-Dowleh library. al-Muqaddasi described the library as a complex of buildings surrounded by gardens with lakes and waterways. The buildings were topped with domes, and comprised an upper and a lower storey with a total, according to the chief official, of 360 rooms.... In each department, catalogues were placed on a shelf... the rooms were furnished with carpets. The Library of Abu-Nasr Shapur Ibn Ardeshir- Baghdad- 10th century: Abu-Nasr who was a Daylamites’ Minister, founded a mega well-known public library in Baghdad that is claimed to hold 10 thousand volumes. .The library was destroyed during Baghdad’s big fire. Greater Merv or Merv Shahijan set of libraries: Yaqut al-Hamawi, a renowned Moslem bibliographer and geographer, on a way to his continual travels, stopped by Merv and settled there for a while to make the best use of sets of impressive libraries to complement his research studies. He named ten distinct exceptional libraries some are stated to hold more than 12,000 books. Some of Merv's libraries resources were highly unique and precious not to be found anywhere else, as he stated. Patrons could easily check out a large number of items from these book collections. As Hamawi reported he was allowed to keep more than 200 books on a long period loan. Most of these valuable libraries were burnt and ruined by the Mughals. “This public library (Dar al-Masahef) shall deliver service to researchers for the purpose of studying and copying the resources. Books are allowed to be used within the library. Taking out the library books requires some refundable deposit equates to the half value of the borrowed item. The loan period is not allowed to exceed one month. The borrowed item shall get stamped by the librarian in order to be recognized as the property of the library”. They were many other sizable libraries in major Islamic cities, e.g. Basrah, Damascus, Isfahan, Toos, Baghdad, Shoush, Mousel and Shiraz. Organization was a strength of Islamic libraries during the Golden Age (7th–14th century). In this period, books were organized by subject. Within the subject, the materials were further organized by when the libraries gained the item, not by last name of the author or the title of the book. Also, Islamic libraries may be the first to have implemented a catalogue of owned materials. The content of a bookshelf was recorded on paper and attached to the end of shelf. This flowering of Islamic learning ceased centuries later when learning began declining in the Islamic world, after many of these libraries were destroyed by Mongol invasions. Others were victim of wars and religious strife in the Islamic world. However, a few examples of these medieval libraries, such as the libraries of Chinguetti in West Africa, remain intact and relatively unchanged. Another ancient library from this period which is still operational and expanding is the Central Library of Astan Quds Razavi in the Iranian city of Mashhad, which has been operating for more than six centuries. The contents of these Islamic libraries were copied by Christian monks in Muslim/Christian border areas, particularly Spain and Sicily. From there they eventually made their way into other parts of Christian Europe. These copies joined works that had been preserved directly by Christian monks from Greek and Roman originals, as well as copies Western Christian monks made of Byzantine works. The resulting conglomerate libraries are the basis of every modern library today. Buddhist scriptures, educational materials, and histories were stored in libraries in pre-modern Southeast Asia. In Burma, a royal library called the Pitakataik was legendarily founded by King Anawrahta; in the 18th century, British envoy Michael Symes, on visiting this library, wrote that "it is not improbable that his Birman majesty may possess a more numerous library than any potentate, from the banks of the Danube to the borders of China". In Thailand, libraries called ho trai were built throughout the country, usually on stilts above a pond to prevent bugs from eating at the books. The centrality of the Qurʾān as the prototype of the written word in Islam bears significantly on the role of books within its intellectual tradition and educational system. An early impulse in Islam was to manage reports of events, key figures and their sayings and actions. Thus, "the onus of being the last 'People of the Book' engendered an ethos of [librarianship]" early on and the establishment of important book repositories throughout the Muslim world has occurred ever since. Upon the spread of Islam, libraries in newly Islamic lands knew a brief period of expansion in the Middle East, North Africa, Sicily, and Spain. Like the Christian libraries, they mostly contained books which were made of paper, and took a codex or modern form instead of scrolls; they could be found in mosques, private homes, and universities, from Timbuktu to Afghanistan and modern day Pakistan. In Aleppo, for example, the largest and probably the oldest mosque library, the Sufiya, located at the city's Grand Umayyad Mosque, contained a large book collection of which 10,000 volumes were reportedly bequeathed by the city's most famous ruler, Prince Sayf al-Dawla. Ibn al-Nadim's bibliography Fihrist demonstrates the devotion of medieval Muslim scholars to books and reliable sources; it contains a description of thousands of books circulating in the Islamic world circa 1000, including an entire section for books about the doctrines of other religions. Modern Islamic libraries for the most part do not hold these antique books; many were lost, destroyed by Mongols, or removed to European libraries and museums during the colonial period. In the Early Middle Ages, monastery libraries developed, such as the important one at the Abbey of Montecassino in Italy. Books were usually chained to the shelves, reflecting the fact that manuscripts, which were created via the labour-intensive process of hand copying, were valuable possessions. This hand-copying was often accomplished by travelling monks who made the treks to the sources of knowledge and illumination they sought for learning or to copy the manuscripts held by other monasteries for their own monastic libraries. Despite this protectiveness, many libraries loaned books if provided with security deposits (usually money or a book of equal value). Lending was a means by which books could be copied and spread. In 1212, the council of Paris condemned those monasteries that still forbade loaning books, reminding them that lending is "one of the chief works of mercy". The early libraries located in monastic cloisters and associated with scriptoria were collections of lecterns with books chained to them. Shelves built above and between back-to-back lecterns were the beginning of bookpresses. The chain was attached at the fore-edge of a book rather than to its spine. Book presses came to be arranged in carrels (perpendicular to the walls and therefore to the windows) in order to maximize lighting, with low bookcases in front of the windows. This "stall system" (i.e. fixed bookcases perpendicular to exterior walls pierced by closely spaced windows) was characteristic of English institutional libraries. In European libraries, bookcases were arranged parallel to and against the walls. This "wall system" was first introduced on a large scale in Spain's El Escorial. Also, in Eastern Christianity monastery libraries kept important manuscripts. The most important of them were the ones in the monasteries of Mount Athos for Orthodox Christians, and the library of the Saint Catherine's Monastery in the Sinai Peninsula, Egypt for the Coptic Church. From the 15th century in central and northern Italy, libraries of humanists and their enlightened patrons provided a nucleus around which an "academy" of scholars congregated in each Italian city of consequence. Malatesta Novello, lord of Cesena, founded the Malatestiana Library. Cosimo de' Medici in Florence established his own collection, which formed the basis of the Laurentian Library. In Rome, the papal collections were brought together by Pope Nicholas V, in separate Greek and Latin libraries, and housed by Pope Sixtus IV, who consigned the Bibliotheca Apostolica Vaticana to the care of his librarian, the humanist Bartolomeo Platina in February 1475. In the 16th century, Sixtus V bisected Bramante's Cortile del Belvedere with a cross-wing to house the Apostolic Library in suitable magnificence. The 16th and 17th centuries saw other privately endowed libraries assembled in Rome: the Vallicelliana, formed from the books of Saint Filippo Neri, with other distinguished libraries such as that of Cesare Baronio, the Biblioteca Angelica founded by the Augustinian Angelo Rocca, which was the only truly public library in Counter-Reformation Rome; the Biblioteca Alessandrina with which Pope Alexander VII endowed the University of Rome; the Biblioteca Casanatense of the Cardinal Girolamo Casanata; and finally the Biblioteca Corsiniana founded by the bibliophile Clement XII Corsini and his nephew Cardinal Neri Corsini, still housed in Palazzo Corsini in via della Lungara. The Republic of Venice patronized the foundation of the Biblioteca Marciana, based on the library of Cardinal Basilios Bessarion. In Milan, Cardinal Federico Borromeo founded the Biblioteca Ambrosiana. This trend soon spread outside of Italy, for example Louis III, Elector Palatine founded the Bibliotheca Palatina of Heidelberg. These libraries do not have as many volumes as the modern libraries. However, they keep many valuable manuscripts of Greek, Latin, and Biblical works. Tianyi Chamber, founded in 1561 by Fan Qin during the Ming dynasty, is the oldest existing library in China. In its heyday, it boasted a collection of 70,000 volumes of antique books. The 17th and 18th centuries include what is known as a golden age of libraries; during this time some of the more important libraries were founded in Europe. Francis Trigge Chained Library of St. Wulfram's Church, Grantham, Lincolnshire was founded in 1598 by the rector of nearby Welbourne. This library is considered the "ancestor of public libraries" because patrons were not required to be members of a particular college or church to use the library. Trigge's library held over 350 books, and his inclusion of both Catholic and Protestant resources is considered unique for the time, since religious conflicts during the Reformation years were common. Thomas Bodley founded the Bodleian Library, which was open to the "whole republic of the learned", Norwich City library was established in 1608. Chetham's Library in Manchester, which claims to be the oldest public library in the English-speaking world, opened in 1653. Other early town libraries of the UK include those of Ipswich (1612), Bristol (founded in 1613 and opened in 1615), and Leicester (1632). Shrewsbury School also opened its library to townsfolk. The British Library was established in 1753. 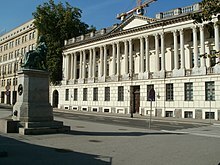 The Mazarine Library and the Bibliothèque Sainte-Geneviève were founded in Paris, the Austrian National Library in Vienna, the National Central Library in Florence, the Prussian State Library in Berlin, the Załuski Library in Warsaw, and the M.E. Saltykov-Shchedrin State Public Library in St Petersburg. At the start of the 18th century, libraries were becoming increasingly public and were more frequently lending libraries. The 18th century saw the switch from closed parochial libraries to lending libraries. Before this time, public libraries were parochial in nature and libraries frequently chained their books to desks. Libraries also were not uniformly open to the public. Even though the British Museum existed at this time and contained over 50,000 books, the national library was not open to the public, or even to a majority of the population. Access to the Museum depended on passes, of which there was sometimes a waiting period of three to four weeks. Moreover, the library was not open to browsing. Once a pass to the library had been issued, the reader was taken on a tour of the library. Many readers complained that the tour was much too short. At the start of the 19th century, there were virtually no public libraries in the sense in which we now understand the term i.e. libraries provided from public funds and freely accessible to all. Only one important library in Britain, namely Chetham's Library in Manchester, was fully and freely accessible to the public. However, there had come into being a whole network of library provision on a private or institutional basis. The increase in secular literature at this time encouraged the spread of lending libraries, especially the commercial subscription libraries. Many small, private book clubs evolved into subscription libraries, charging high annual fees or requiring subscribing members to purchase shares in the libraries. The materials available to subscribers tended to focus on particular subject areas, such as biography, history, philosophy, theology, and travel, rather than works of fiction, particularly the novel. Unlike a public library, access was often restricted to members. Some of the earliest such institutions were founded in late 17th-century England, such as Chetham's Library in 1653, Innerpeffray Library in 1680, and Thomas Plume's Library in 1704. In the American colonies, the Library Company of Philadelphia was started in 1731 by Benjamin Franklin in Philadelphia. Parochial libraries attached to Anglican parishes or Nonconformist chapels in Britain emerged in the early 18th century, and prepared the way for local public libraries. The increasing production and demand for fiction promoted by commercial markets led to the rise of circulating libraries, which met a need that subscription libraries did not fulfil. William Bathoe claimed that his commercial venture was "the Original Circulating library", opening doors at two locations in London in 1737. Circulating libraries also charged subscription fees to users and offered serious subject matter as well as the popular novels, thus the difficulty in clearly distinguishing circulating from subscription libraries. Subscription libraries were democratic in nature; created by and for communities of local subscribers who aimed to establish permanent collections of books and reading materials, rather than selling their collections annually as the circulating libraries tended to do, in order to raise funds to support their other commercial interests. Even though the subscription libraries were often founded by reading societies, committees, elected by the subscribers, chose books for the collection that were general, rather than aimed at a particular religious, political or professional group. The books selected for the collection were chosen because they would be mutually beneficial to the shareholders. The committee also selected the librarians who would manage the circulation of materials. In Britain, there were more than 200 commercial circulating libraries open in 1800, more than twice the number of subscription and private proprietary libraries that were operating at the same time. Many proprietors pandered to the most fashionable clientele, making much ado about the sort of shop they offered, the lush interiors, plenty of room and long hours of service. "These 'libraries' would be called rental collections today." The Linen Hall Library in Belfast was an 18th-century subscription library. Pictured in 1888, shortly before its demolition. Private subscription libraries functioned in much the same manner as commercial subscription libraries, though they varied in many important ways. One of the most popular versions of the private subscription library was a gentlemen-only library. Membership was restricted to the proprietors or shareholders, and ranged from a dozen or two to between four and five hundred. The Liverpool Subscription Library was a gentlemen-only library. In 1798, it was renamed the Athenaeum when it was rebuilt with a newsroom and coffeehouse. It had an entrance fee of one guinea and annual subscription of five shillings. An analysis of the registers for the first twelve years provides glimpses of middle-class reading habits in a mercantile community at this period. The largest and most popular sections of the library were History, Antiquities, and Geography, with 283 titles and 6,121 borrowings, and Belles Lettres, with 238 titles and 3,313 borrowings. 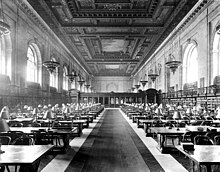 Private subscription libraries held a greater amount of control over both membership and the types of books in the library. There was almost a complete elimination of cheap fiction in the private societies. Subscription libraries prided themselves on respectability. The highest percentage of subscribers were often landed proprietors, gentry, and old professions. Towards the end of the 18th century and in the first decades of the nineteenth, the need for books and general education made itself felt among social classes created by the beginnings of the Industrial Revolution. The late 18th century saw a rise in subscription libraries intended for the use of tradesmen. In 1797, there was established at Kendal what was known as the Economical Library, "designed principally for the use and instruction of the working classes". There was also the Artizans' library established at Birmingham in 1799. The entrance fee was 3 shillings. The subscription was 1 shilling 6 pence per quarter. This was a library of general literature. Novels, at first excluded, were afterwards admitted on condition that they did not account for more than one-tenth of the annual income. Benjamin Franklin led the founding of the first American subscription library. In Philadelphia, Franklin formed "a club of mutual improvements" calling themselves the "Junto", which meant a council or a combination of individuals organized for a specific purpose. Because the men in this club had a steady income, they could afford to be a part of this club and afford to purchase books. Only some had enough to be considered a library; together they shared what they all had. The Lindisfarne Gospels is but one of the treasures made available in the British Museum upon its establishment in 1753. The first national libraries had their origins in the royal collections of the sovereign or some other supreme body of the state. This era is termed the "golden age of libraries", with millions of printed books available and widespread interest growing in both national and classical literature. National libraries would eventually become objects of pride in that same spirit, most Europeans considered themselves as belonging to a nation first and a religion second. Wars of religion would give way to wars of nationalism, as fierce and widespread as ever. This would become a major turning point for many libraries and their collections. One of the first plans for a national library was devised by the Welsh mathematician John Dee, who in 1556 presented Mary I of England with a visionary plan for the preservation of old books, manuscripts and records and the founding of a national library, but his proposal was not taken up. The first true national library was founded in 1753 as part of the British Museum. This new institution was the first of a new kind of museum – national, belonging to neither church nor the king, freely open to the public and aiming to collect everything. The museum's foundations lay in the will of the physician and naturalist Sir Hans Sloane, who gathered an enviable collection of curiosities over his lifetime which he bequeathed to the nation for £20,000. Sloane's collection included some 40,000 printed books and 7,000 manuscripts, as well as prints and drawings. 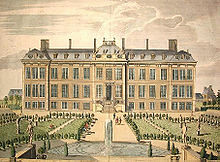 The British Museum Act 1753 also incorporated the Cotton library and the Harleian library. These were joined in 1757 by the Royal Library, assembled by various British monarchs. In France, the first national library was the Bibliothèque Mazarine, which evolved from its origin as a royal library founded at the Louvre Palace by Charles V in 1368. The appointment of Jacques Auguste de Thou as librarian in the 17th century, initiated a period of development that made it the largest and richest collection of books in the world. The library opened to the public in 1692, under the administration of Abbé Louvois, Minister Louvois's son. Abbé Louvois was succeeded by the Abbé Bignon, or Bignon II as he was termed, who instituted a complete reform of the library's system. Catalogues were made, which appeared from 1739 to 1753 in 11 volumes. The collections increased steadily by purchase and gift to the outbreak of the French Revolution, at which time it was in grave danger of partial or total destruction, but owing to the activities of Antoine-Augustin Renouard and Joseph Van Praet it suffered no injury. The library's collections swelled to over 300,000 volumes during the radical phase of the French Revolution, when the private libraries of aristocrats and clergy were seized. After the establishment of the French First Republic in September 1792, "the Assembly declared the Bibliotheque du Roi to be national property and the institution was renamed the Bibliothèque Nationale. After four centuries of control by the Crown, this great library now became the property of the French people." Although by the mid-19th century England could claim 274 subscription libraries and Scotland, 266, the foundation of the modern public library system in Britain is the Public Libraries Act 1850. The Act first gave local boroughs the power to establish free public libraries and was the first legislative step toward the creation of an enduring national institution that provides universal free access to information and literature. In the 1830s, at the height of the Chartist movement, there was a general tendency towards reformism in the United Kingdom. The Capitalist economic model had created a significant amount of free time for workers, and the middle classes were concerned that the workers' free time was not being well-spent. This was prompted more by Victorian middle class paternalism rather than by demand from the lower social orders. Campaigners felt that encouraging the lower classes to spend their free time on morally uplifting activities, such as reading, would promote greater social good. In 1835, and against government opposition, James Silk Buckingham, MP for Sheffield and a supporter of the temperance movement, was able to secure the Chair of the Select Committee which would examine "the extent, causes, and consequences of the prevailing vice of intoxication among the labouring classes of the United Kingdom" and propose solutions. Francis Place, a campaigner for the working class, agreed that, "The establishment of parish libraries and district reading rooms, and popular lectures on subjects both entertaining and instructive to the community might draw off a number of those who now frequent public houses for the sole enjoyment they afford". Buckingham introduced to Parliament a Public Institution Bill allowing boroughs to charge a tax to set up libraries and museums, the first of its kind. Although this did not become law, it had a major influence on William Ewart MP and Joseph Brotherton MP, who introduced a bill which would "[empower] boroughs with a population of 10,000 or more to raise a ½d for the establishment of museums". This became the Museums Act 1845. The advocacy of Ewart and Brotherton then succeeded in having a select committee set up to consider public library provision. The Report argued that the provision of public libraries would steer people towards temperate and moderate habits. With a view to maximising the potential of current facilities, the Committee made two significant recommendations. They suggested that the government should issue grants to aid the foundation of libraries and that the Museums Act 1845 should be amended and extended to allow for a tax to be levied for the establishment of public libraries. The Bill passed through Parliament as most MPs felt that public libraries would provide facilities for self-improvement through books and reading for all classes, and that the greater levels of education attained by providing public libraries would result in lower crime rates. The earliest example in England of a library to be endowed for the benefit of users who were not members of an institution such as a cathedral or college was the Francis Trigge Chained Library in Grantham, Lincolnshire, established in 1598. The library still exists and can justifiably claim to be the forerunner of later public library systems. The beginning of the modern, free, open access libraries really got its start in the UK in 1847. Parliament appointed a committee, led by William Ewart, on Public Libraries to consider the necessity of establishing libraries through the nation: In 1849, their report noted the poor condition of library service, it recommended the establishment of free public libraries all over the country, and it led to the Public Libraries Act in 1850, which allowed all cities with populations exceeding 10,000 to levy taxes for the support of public libraries. Salford Museum and Art Gallery first opened in November 1850 as "The Royal Museum & Public Library", as the first unconditionally free public library in England. The library in Campfield, Manchester was the first library to operate a free lending library without subscription in 1852. Norwich lays claims to being the first municipality to adopt the Public Libraries Act 1850 (which allowed any municipal borough with a population of 100,000 or more to introduce a halfpenny rate to establish public libraries—although not to buy books). Norwich was the eleventh library to open, in 1857, after Winchester, Manchester, Liverpool, Bolton, Kidderminster, Cambridge, Birkenhead, and Sheffield. Another important act was the Education Act 1870, which increased literacy and thereby the demand for libraries. By 1877, more than 75 cities had established free libraries, and by 1900 the number had reached 300. This finally marks the start of the public library as we know it. And these acts influenced similar laws in other countries. The 20th century witnessed a tremendous expansion in the provision of public libraries in the English-speaking world. Pictured, the Peter White Public Library, built in 1905. In the United States, the first tax-supported public library was Peterborough, New Hampshire (1833) first supported by state funds then an "Act Providing for the Establishment of Public Libraries" in 1849. The US Federal Emergency Managment Agency (FEMA) recognizes libraries as a invaluable community service and has added libraries to the list of essential services eligible for emergency funding after a disaster. With this funding, libraries can restore services faster in order to provide internet access, air conditioned spaces, electricity for charging electronic devices, and access to running water. The American School Library (1839) was an early frontier traveling library in the United States. The year 1876 is key in the history of librarianship in the United States. The American Library Association was formed on October 6, as well as The American Library Journal, Melvil Dewey published his decimal-based system of classification, and the United States Bureau of Education published its report, "Public libraries in the United States of America; their history, condition, and management." During the post-Civil War years, there was a rise in the establishment of public libraries, a movement led chiefly by newly formed women's clubs. They contributed their own collections of books, conducted lengthy fund raising campaigns for buildings, and lobbied within their communities for financial support for libraries, as well as with legislatures and the Carnegie library Endowment, founded in the 20th century. They led the establishment of 75–80 percent of the libraries in communities across the country. 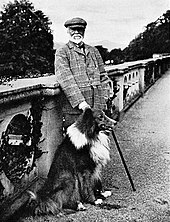 Philanthropists and businessmen, including John Passmore Edwards, Henry Tate and Andrew Carnegie, helped to increase the number of public libraries from the late 19th century. Carnegie alone built over 2000 libraries in the US, 660 Carnegie Libraries in Britain, in addition to many more in the Commonwealth. Carnegie also funded academic libraries, favoring small schools and schools with African American students. "In 1899, Pennsylvania State College became the first college to receive Carnegie funding ($150,000) and their library was constructed in 1903." In 1997, Bill and Melinda Gates worked on their first major philanthropic venture call the U.S. Library Program. The program provided grants to "more than 5,800 libraries in the United States, installed more than 25,000 PCs and trained 7,000 librarians." By providing grants the U.S. Library Program has "increased public access to computer, the Internet and digital information to library patrons in low-income communities". Many institutions make a distinction between a circulating or lending library, where materials are expected and intended to be loaned to patrons, institutions, or other libraries, and a reference library where material is not lent out. Travelling libraries, such as the early horseback libraries of eastern Kentucky and bookmobiles, are generally of the lending type. Modern libraries are often a mixture of both, containing a general collection for circulation, and a reference collection which is restricted to the library premises. Also, increasingly, digital collections enable broader access to material that may not circulate in print, and enables libraries to expand their collections even without building a larger facility. Academic libraries are generally located on college and university campuses and primarily serve the students and faculty of that and other academic institutions. Some academic libraries, especially those at public institutions, are accessible to members of the general public in whole or in part. Academic libraries are libraries that are hosted in post-secondary educational institutions, such as colleges and universities. Their main function are to provide support in research and resource linkage for students and faculty of the educational institution. Specific course-related resources are usually provided by the library, such as copies of textbooks and article readings held on 'reserve' (meaning that they are loaned out only on a short-term basis, usually a matter of hours). Some academic libraries provide resources not usually associated with libraries, such as the ability to check out laptop computers, web cameras, or scientific calculators. Academic libraries offer workshops and courses outside of formal, graded coursework, which are meant to provide students with the tools necessary to succeed in their programs. These workshops may include help with citations, effective search techniques, journal databases, and electronic citation software. These workshops provide students with skills that can help them achieve success in their academic careers (and often, in their future occupations), which they may not learn inside the classroom. The academic library provides a quiet study space for students on campus; it may also provide group study space, such as meeting rooms. In North America, Europe, and other parts of the world, academic libraries are becoming increasingly digitally oriented. The library provides a "gateway" for students and researchers to access various resources, both print/physical and digital. Academic institutions are subscribing to electronic journals databases, providing research and scholarly writing software, and usually provide computer workstations or computer labs for students to access journals, library search databases and portals, institutional electronic resources, Internet access, and course- or task-related software (i.e. word processing and spreadsheet software). Some academic libraries take on new roles, for instance, acting as an electronic repository for institutional scholarly research and academic knowledge, such as the collection and curation of digital copies of students' theses and dissertations. Moreover, academic libraries are increasingly acting as publishers on their own on a not-for-profit basis, especially in the form of fully Open Access institutional publishers. "Children's library" redirects here. For the collection of digitized books, see Internet Archive's Children's Library. Children's libraries are special collections of books intended for juvenile readers and usually kept in separate rooms of general public libraries. Some children's libraries have entire floors or wings dedicated to them in bigger libraries while smaller ones may have a separate room or area for children. They are an educational agency seeking to acquaint the young with the world's literature and to cultivate a love for reading. Their work supplements that of the public schools. Services commonly provided by public libraries may include storytelling sessions for infants, toddlers, preschool children, or after-school programs, all with an intention of developing early literacy skills and a love of books. One of the most popular programs offered in public libraries are summer reading programs for children, families, and adults. Another popular reading program for children is PAWS TO READ or similar programs where children can read to certified therapy dogs. Since animals are a calming influence and there is no judgment, children learn confidence and a love of reading. Many states have these types of programs: parents need simply ask their librarian to see if it is available at their local library. A national or state library serves as a national repository of information, and has the right of legal deposit, which is a legal requirement that publishers in the country need to deposit a copy of each publication with the library. Unlike a public library, a national library rarely allows citizens to borrow books. Often, their collections include numerous rare, valuable, or significant works. There are wider definitions of a national library, putting less emphasis on the repository character. The first national libraries had their origins in the royal collections of the sovereign or some other supreme body of the state. Many national libraries cooperate within the National Libraries Section of the International Federation of Library Associations and Institutions (IFLA) to discuss their common tasks, define and promote common standards, and carry out projects helping them to fulfil their duties. The national libraries of Europe participate in The European Library which is a service of the Conference of European National Librarians (CENL). A public library provides services to the general public. If the library is part of a countywide library system, citizens with an active library card from around that county can use the library branches associated with the library system. A library can serve only their city, however, if they are not a member of the county public library system. Much of the materials located within a public library are available for borrowing. The library staff decides upon the number of items patrons are allowed to borrow, as well as the details of borrowing time allotted. Typically, libraries issue library cards to community members wishing to borrow books. Often visitors to a city are able to obtain a public library card. Many public libraries also serve as community organizations that provide free services and events to the public, such as reading groups and toddler story time. For many communities, the library is a source of connection to a vast world, obtainable knowledge and understanding, and entertainment. According to a study by the Pennsylvania Library Association, public library services play a major role in fighting rising illiteracy rates among youths. Public libraries are protected and funded by the public they serve. As the number of books in libraries have steadily increased since their inception, the need for compact storage and access with adequate lighting has grown. The stack system involves keeping a library's collection of books in a space separate from the reading room. This arrangement arose in the 19th century. Book stacks quickly evolved into a fairly standard form in which the cast iron and steel frameworks supporting the bookshelves also supported the floors, which often were built of translucent blocks to permit the passage of light (but were not transparent, for reasons of modesty). The introduction of electrical lighting had a huge impact on how the library operated. The use of glass floors was largely discontinued, though floors were still often composed of metal grating to allow air to circulate in multi-story stacks. As more space was needed, a method of moving shelves on tracks (compact shelving) was introduced to cut down on otherwise wasted aisle space. Library 2.0, a term coined in 2005, is the library's response to the challenge of Google and an attempt to meet the changing needs of users by using web 2.0 technology. Some of the aspects of Library 2.0 include, commenting, tagging, bookmarking, discussions, use of online social networks by libraries, plug-ins, and widgets. Inspired by web 2.0, it is an attempt to make the library a more user-driven institution. Despite the importance of public libraries, they are routinely having their budgets cut by state legislature. Funding has dwindled so badly that many public libraries have been forced to cut their hours and release employees. A reference library does not lend books and other items; instead, they must be read at the library itself. Typically, such libraries are used for research purposes, for example at a university. Some items at reference libraries may be historical and even unique. Many lending libraries contain a "reference section", which holds books, such as dictionaries, which are common reference books, and are therefore not lent out. Such reference sections may be referred to as "reading rooms", which may also include newspapers and periodicals. An example of a reading room is the Hazel H. Ransom Reading Room at the Harry Ransom Center of the University of Texas at Austin, which maintains the papers of literary agent Audrey Wood. A research library is a collection of materials on one or more subjects. A research library supports scholarly or scientific research and will generally include primary as well as secondary sources; it will maintain permanent collections and attempt to provide access to all necessary materials. A research library is most often an academic or national library, but a large special library may have a research library within its special field, and a very few of the largest public libraries also serve as research libraries. A large university library may be considered a research library; and in North America, such libraries may belong to the Association of Research Libraries. In the United Kingdom, they may be members of Research Libraries UK (RLUK). A research library can be either a reference library, which does not lend its holdings, or a lending library, which does lend all or some of its holdings. Some extremely large or traditional research libraries are entirely reference in this sense, lending none of their materials; most academic research libraries, at least in the US and the UK, now lend books, but not periodicals or other materials. Many research libraries are attached to a parental organization and serve only members of that organization. Examples of research libraries include the British Library, the Bodleian Library at Oxford University and the New York Public Library Main Branch on 42nd Street in Manhattan, State Public Scientific Technological Library of the Sibirian Branch of the Russian Academy of Science. Digital libraries are libraries that house digital resources. They are defined as an organization and not a service that provide access to digital works, have a preservation responsibility to provide future access to materials, and provides these items easily and affordably. The definition of a digital library implies that "a digital library uses a variety of software, networking technologies and standards to facilitate access to digital content and data to a designated user community." Access to digital libraries can be influenced by several factors, either individually or together. The most common factors that influence access are: The library's content, the characteristics and information needs of the target users, the library's digital interface, the goals and objectives of the library's organizational structure, and the standards and regulations that govern library use. Access will depend on the users ability to discover and retrieve documents that interest them and that they require, which in turn is a preservation question. Digital objects cannot be preserved passively, they must be curated by digital librarians to ensure the trust and integrity of the digital objects. One of the biggest considerations for digital librarians is the need to provide long-term access to their resources; to do this, there are two issues requiring watchfulness: Media failure and format obsolescence. With media failure, a particular digital item is unusable because of some sort of error or problem. A scratched CD-Rom, for example, will not display its contents correctly, but another, unscratched disk will not have that problem. Format obsolescence is when a digital format has been superseded by newer technology, and so items in the old format are unreadable and unusable. Dealing with media failure is a reactive process, because something is done only when a problem presents itself. In contrast, format obsolescence is preparatory, because changes are anticipated and solutions are sought before there is a problem. Future trends in digital preservation include: Transparent enterprise models for digital preservation, launch of self-preserving objects, increased flexibility in digital preservation architectures, clearly-defined metrics for comparing preservation tools, and terminology and standards interoperability in real time. Bookshelf at the Beinecke Rare Book & Manuscript Library. The top floor contains 180,000 volumes. Since 1977, all new acquisitions are frozen at −33 degrees to prevent the spread of insects and diseases. All other libraries fall into the "special library" category. Many private businesses and public organizations, including hospitals, churches, museums, research laboratories, law firms, and many government departments and agencies, maintain their own libraries for the use of their employees in doing specialized research related to their work. Depending on the particular institution, special libraries may or may not be accessible to the general public or elements thereof. In more specialized institutions such as law firms and research laboratories, librarians employed in special libraries are commonly specialists in the institution's field rather than generally trained librarians, and often are not required to have advanced degrees in specifically library-related field due to the specialized content and clientele of the library. Special libraries can also include women's libraries or LGBTQ libraries, which serve the needs of women and the LGBTQ community. Libraries and the LGBTQ community have an extensive history, and there are currently many libraries, archives, and special collections devoted to preserving and helping the LGBTQ community. Women's libraries, such as the Vancouver Women's Library or the Women's Library @LSE are examples of women's libraries that offer services to women and girls and focus on women's history. 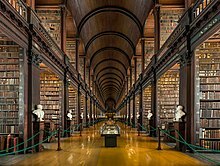 The Long Room of the Trinity College Library in Trinity College, Dublin, Ireland. It is a legal deposit or "copyright library" and is entitled to receive a copy of all books published in the UK. Some special libraries, such as governmental law libraries, hospital libraries, and military base libraries commonly are open to public visitors to the institution in question. Depending on the particular library and the clientele it serves, special libraries may offer services similar to research, reference, public, academic, or children's libraries, often with restrictions such as only lending books to patients at a hospital or restricting the public from parts of a military collection. Given the highly individual nature of special libraries, visitors to a special library are often advised to check what services and restrictions apply at that particular library. Special libraries are distinguished from special collections, which are branches or parts of a library intended for rare books, manuscripts, and other special materials, though some special libraries have special collections of their own, typically related to the library's specialized subject area. For more information on specific types of special libraries, see law libraries, medical libraries, music libraries, or transportation libraries. Most libraries have materials arranged in a specified order according to a library classification system, so that items may be located quickly and collections may be browsed efficiently. Some libraries have additional galleries beyond the public ones, where reference materials are stored. These reference stacks may be open to selected members of the public. Others require patrons to submit a "stack request", which is a request for an assistant to retrieve the material from the closed stacks: see List of closed stack libraries (in progress). Larger libraries are often divided into departments staffed by both paraprofessionals and professional librarians. Circulation (or Access Services) – Handles user accounts and the loaning/returning and shelving of materials. Collection Development – Orders materials and maintains materials budgets. Reference – Staffs a reference desk answering questions from users (using structured reference interviews), instructing users, and developing library programming. Reference may be further broken down by user groups or materials; common collections are children's literature, young adult literature, and genealogy materials. Technical Services – Works behind the scenes cataloging and processing new materials and deaccessioning weeded materials. Stacks Maintenance – Re-shelves materials that have been returned to the library after patron use and shelves materials that have been processed by Technical Services. Stacks Maintenance also shelf reads the material in the stacks to ensure that it is in the correct library classification order. Basic tasks in library management include the planning of acquisitions (which materials the library should acquire, by purchase or otherwise), library classification of acquired materials, preservation of materials (especially rare and fragile archival materials such as manuscripts), the deaccessioning of materials, patron borrowing of materials, and developing and administering library computer systems. More long-term issues include the planning of the construction of new libraries or extensions to existing ones, and the development and implementation of outreach services and reading-enhancement services (such as adult literacy and children's programming). Library materials like books, magazines, periodicals, CDs, etc. are managed by Dewey Decimal Classification Theory and modified Dewey Decimal Classification Theory is more practical reliable system for library materials management. Much advancement has undoubtedly been made toward cooperation between architect and librarian,[when?] and many good designers have made library buildings their specialty; nevertheless it seems that the ideal type of library is not yet realized—the type so adapted to its purpose that it would be immediately recognized as such, as is the case with school buildings.[when?] This does not mean that library constructions should conform rigidly to a fixed standard of appearance and arrangement, but it does mean that the exterior should express as nearly as possible the purpose and functions of the interior. Until the advent of digital catalogues, card catalogues were the traditional method of organizing the list of resources and their location within a large library. Dynix was an early, but long-lasting and popular, digital catalogue. Patrons may not know how to fully use the library's resources. This can be due to some individuals' unease in approaching a staff member. Ways in which a library's content is displayed or accessed may have the most impact on use. An antiquated or clumsy search system, or staff unwilling or untrained to engage their patrons, will limit a library's usefulness. In the public libraries of the United States, beginning in the 19th century, these problems drove the emergence of the library instruction movement, which advocated library user education. One of the early leaders was John Cotton Dana. The basic form of library instruction is sometimes known as information literacy. Libraries should inform their users of what materials are available in their collections and how to access that information. 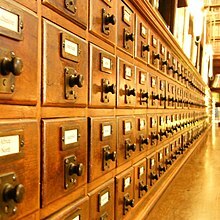 Before the computer age, this was accomplished by the card catalogue—a cabinet (or multiple cabinets) containing many drawers filled with index cards that identified books and other materials. In a large library, the card catalogue often filled a large room. 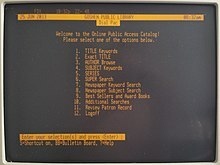 The emergence of the Internet, however, has led to the adoption of electronic catalogue databases (often referred to as "webcats" or as online public access catalogues, OPACs), which allow users to search the library's holdings from any location with Internet access. This style of catalogue maintenance is compatible with new types of libraries, such as digital libraries and distributed libraries, as well as older libraries that have been retrofitted. Electronic catalogue databases are criticized by some who believe that the old card catalogue system was both easier to navigate and allowed retention of information, by writing directly on the cards, that is lost in the electronic systems. This argument is analogous to the debate over paper books and e-books. While libraries have been accused of precipitously throwing out valuable information in card catalogues, most modern ones have nonetheless made the move to electronic catalogue databases. 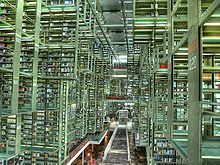 Large libraries may be scattered within multiple buildings across a town, each having multiple floors, with multiple rooms housing the resources across a series of shelves. Once a user has located a resource within the catalogue, they must then use navigational guidance to retrieve the resource physically, a process that may be assisted through signage, maps, GPS systems, or RFID tagging. Finland has the highest number of registered book borrowers per capita in the world. Over half of Finland's population are registered borrowers. In the US, public library users have borrowed on average roughly 15 books per user per year from 1856 to 1978. From 1978 to 2004, book circulation per user declined approximately 50%. The growth of audiovisuals circulation, estimated at 25% of total circulation in 2004, accounts for about half of this decline. In the 21st century, there has been increasing use of the Internet to gather and retrieve data. The shift to digital libraries has greatly impacted the way people use physical libraries. Between 2002 and 2004, the average American academic library saw the overall number of transactions decline approximately 2.2%. Libraries are trying to keep up with the digital world and the new generation of students that are used to having information just one click away. For example, the University of California Library System saw a 54% decline in circulation between 1991 and 2001 of 8,377,000 books to 3,832,000. These facts might be a consequence of the increased availability of e-resources. In 1999–2000, 105 ARL university libraries spent almost $100 million on electronic resources, which is an increase of nearly $23 million from the previous year. A 2003 report by the Open E-book Forum found that close to a million e-books had been sold in 2002, generating nearly $8 million in revenue. Another example of the shift to digital libraries can be seen in Cushing Academy's decision to dispense with its library of printed books—more than 20,000 volumes in all—and switch over entirely to digital media resources. One claim to why there is a decrease in the usage of libraries stems from the observation of the research habits of undergraduate students enrolled in colleges and universities. There have been claims that college undergraduates have become more used to retrieving information from the Internet than a traditional library. As each generation becomes more in tune with the Internet, their desire to retrieve information as quickly and easily as possible has increased. Finding information by simply searching the Internet could be much easier and faster than reading an entire book. In a survey conducted by NetLibrary, 93% of undergraduate students claimed that finding information online makes more sense to them than going to the library. Also, 75% of students surveyed claimed that they did not have enough time to go to the library and that they liked the convenience of the Internet. While the retrieving information from the Internet may be efficient and time saving than visiting a traditional library, research has shown that undergraduates are most likely searching only .03% of the entire web. The information that they are finding might be easy to retrieve and more readily available, but may not be as in depth as information from other resources such as the books available at a physical library. In the mid-2000s, Swedish company Distec invented a library book vending machine known as the GoLibrary, that offers library books to people where there is no branch, limited hours, or high traffic locations such as El Cerrito del Norte BART station in California. A library may make use of the Internet in a number of ways, from creating their own library website to making the contents of its catalogues searchable online. Some specialised search engines such as Google Scholar offer a way to facilitate searching for academic resources such as journal articles and research papers. The Online Computer Library Center allows anyone to search the world's largest repository of library records through its WorldCat online database. Websites such as LibraryThing and Amazon provide abstracts, reviews, and recommendations of books. Libraries provide computers and Internet access to allow people to search for information online. Online information access is particularly attractive to younger library users. Digitization of books, particularly those that are out-of-print, in projects such as Google Books provides resources for library and other online users. Due to their holdings of valuable material, some libraries are important partners for search engines such as Google in realizing the potential of such projects and have received reciprocal benefits in cases where they have negotiated effectively. 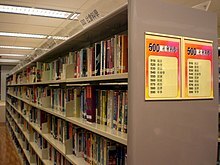 As the prominence of and reliance on the Internet has grown, library services have moved the emphasis from mainly providing print resources to providing more computers and more Internet access. Libraries face a number of challenges in adapting to new ways of information seeking that may stress convenience over quality, reducing the priority of information literacy skills. The potential decline in library usage, particularly reference services, puts the necessity for these services in doubt. Library scholars have acknowledged that libraries need to address the ways that they market their services if they are to compete with the Internet and mitigate the risk of losing users. This includes promoting the information literacy skills training considered vital across the library profession. However, marketing of services has to be adequately supported financially in order to be successful. This can be problematic for library services that are publicly funded and find it difficult to justify diverting tight funds to apparently peripheral areas such as branding and marketing. The privacy aspect of library usage in the Internet age is a matter of growing concern and advocacy; privacy workshops are run by the Library Freedom Project which teach librarians about digital tools (such as the Tor Project) to thwart mass surveillance. The International Federation of Library Associations and Institutions (IFLA) is the leading international association of library organisations. It is the global voice of the library and information profession, and its annual conference provides a venue for librarians to learn from one another. Library associations in Asia include the Indian Library Association (ILA), Indian Association of Special Libraries and Information Centers (IASLIC), Bengal Library Association (BLA), Kolkata, Pakistan Library Association, the Pakistan Librarians Welfare Organization, the Bangladesh Association of Librarians, Information Scientists and Documentalists, the Library Association of Bangladesh, and the Sri Lanka Library Association (founded 1960). National associations of the English-speaking world include the American Library Association, the Australian Library and Information Association, the Canadian Library Association, the Library and Information Association of New Zealand Aotearoa, and the Research Libraries UK (a consortium of 30 university and other research libraries in the United Kingdom). Library bodies such as CILIP (formerly the Library Association, founded 1877) may advocate the role that libraries and librarians can play in a modern Internet environment, and in the teaching of information literacy skills. Public library advocacy is support given to a public library for its financial and philosophical goals or needs. Most often this takes the form of monetary or material donations or campaigning to the institutions which oversee the library, sometimes by advocacy groups such as Friends of Libraries and community members. Originally, library advocacy was centered on the library itself, but current trends show libraries positioning themselves to demonstrate they provide "economic value to the community" in means that are not directly related to the checking out of books and other media. ^ "Library – Definition and More from the Free Merriam-Webster Dictionary". merriam-webster.com. ^ Casson, Lionel (2002). Libraries in the Ancient World. Yale University Press. p. 3. ISBN 978-0-300-09721-4. Retrieved 7 March 2012. ^ a b Krasner-Khait, Barbara (2010). "History Magazine". history-magazine.com. Retrieved 5 March 2012. ^ Maclay, Kathleen (6 May 2003). "Clay cuneiform tablets from ancient Mesopotamia to be placed online". Retrieved 5 March 2012. ^ Renfrew, Colin. Prehistory The Making of the Human Mind, New York: Modern Library, 2008. ^ Roberts, John Morris (1997). A short history of the world. Oxford University Press. p. 35. ISBN 978-0-19-511504-8. Retrieved 7 March 2012. ^ ""Assurbanipal Library Phase 1", British Museum One". Britishmuseum.org. Retrieved 21 June 2013. ^ Weitemeyer, M. (1956). Archive and library technique in ancient Mesopotamia. Libri: International Journal of Libraries, 6(3). 217–238. ^ Stein, Gil J. "Persepolis Fortification Tablets" (PDF). ^ a b c d e Al-Nadim (1381). Mohammad Reza Tajadod, ed. Al Fehrest (in Persian). Tehran: Asatir Publications. ^ Cosmos: A Personal Voyage, Sagan, C 1980, "Episode 1: The Shores of the Cosmic Ocean"
^ Swain, Simon (2002). Dio Chrysostom: Politics, Letters, and Philosophy. Oxford University Press. p. 57. ISBN 978-0-19-925521-4. Nevertheless, in 92 the same office went to a Greek, Ti. Julius Celsus Polemaeanus, who belonged to a family of priests of Rome hailing from Sardis; entering the Senate under Vespasian, he was subsequently to be appointed proconsul of Asia under Trajan, possibly in 105/6. 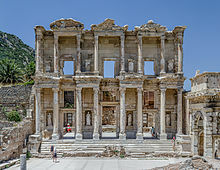 Celsus' son, Aquila, was also to be made suffectus in 110, although he is certainly remembered more as the builder of the famous library his father envisioned for Ephesus. ^ Nicols, John (1978). Vespasian and the partes Flavianae. Steiner. p. 109. ISBN 978-3-515-02393-1. Ti. Julius Celsus Polemaeanus (PIR2 J 260) was a romanized Greek of Ephesus or Sardes who became the first eastern consul. ^ Seneca, De tranquillitate animi ix, 4–7. ^ Casson, L. (2001). Libraries in the ancient world. New Haven: Yale University Press; Ewald, L.A. (2004). Library Culture in Ancient Rome, 100 B.C. – A.D. 400. Kentucky Libraries, 68(1), 9–11; Buchanan, S. (2012). Designing the Research Commons: Classical Models for School Libraries. School Libraries Worldwide, 18(1), 56–69. ^ Houston, G.W. (2008). Tiberius and the Libraries: Public Book Collections and Library Buildings in the Early Roman Empire. Libraries & the Cultural Record, 43, 247–69. ^ Zurndorfer, Harriet Thelma (1995). China Bibliography: A Research Guide to Reference Works About China Past and Present. E.J. Brill. ISBN 978-90-04-10278-1. Retrieved 30 April 2010. ^ "Stradavinisaporifc.it". Stradavinisaporifc.it. Retrieved 7 March 2010. ^ Bischoff, B. and Gorman, M. (1994). Manuscripts and libraries in the age of Charlemagne. Cambridge: Cambridge University Press. ^ Papademetriou, G.C. (2000). "The Patriarchal libraries of Constantinople". Greek Orthodox Theological Review. 45 (1–4): 171–90. ^ Lyons, M. (2011). Books: A living history. London: Thames and Hudson, pp.&nbps;35–36. ^ Peterson, H.A. (2010). The genesis of monastic libraries. Libraries & the Cultural Record, 45(3), 320–32, . ^ Murray, 2009; Peterson, 2010. ^ Thompson, J.W. (1957). The medieval library. New York: Hafner Publishing Co., p. 311. ^ Hillerbrand, Hans J. (2006). "On Book Burnings and Book Burners: Reflections on the Power (and Powerlessness) of Ideas". Journal of the American Academy of Religion. 74 (3): 593–614. doi:10.1093/jaarel/lfj117. ^ FSTC Limited. "The Beginning of the Paper Industry". Muslim Heritage. Retrieved 13 April 2019. ^ Al-Hamawi, Yagut (1380). Monzavi, Ali Naghi, ed. Mu'jam al-Buldān. Tehran: Cultural Heritage Organization. ISBN 964-7483-02-3. ^ Al-Hamawi, Yagut (1381). Ayati, Abdol-Mohammad, ed. Mu'jam al-Udabā (1 ed.). Tehran: Soroush Publications. ISBN 964-7483-02-3. ^ Elayyan, Ribhi Mustafa (1990). "The history of the Arabic-Islamic Libraries: 7th to 14th Centuries". International Library Review. 22 (2): 119–35. doi:10.1016/0020-7837(90)90014-7. ^ Al-Hamawi, Yagut (1381). Ayati, Abdol-Mohammad, ed. Mu'jam al-Udabā. 2 (1 ed.). Tehran: Soroush Publications. ISBN 964-7483-02-3. ^ Ganji, Ali Reza (1379). "The History of Libray in Iran". Information and Public Libraries Research Studies. 39: 83–84. ^ Goeje, M.J. de, ed. (1906). "Al-Muqaddasi: Ahsan al-Taqasim". Bibliotheca geographorum Arabicorum (in Arabic). III. Leiden: E.J. Brill. p. 449. ^ "بهاءالدوله ابونصر فیروزی". داشنامه جهان اسلام. Retrieved 2019-04-10. ^ Pomerantz, Pomerantz. "ṢĀḤEB EBN ʿABBĀD, ESMĀʿIL". Encyclopædia Iranica. Retrieved 2019-04-08. ^ Al-Hamawi, Yagut (1995). "Vol 5". Mu'jam al-Buldān (in Arabic). Beirut: Al Sader. ^ Fadllulah, Rashid Al-Din. Afshar, Iraj; Minavi, Mojtaba, eds. Rab e Rashidi Deed for Endowment. Tehran: Anjoman Asare Meli Publications. ^ "The Deed For Endowment: Rab' I-Rashidi (Rab I-Rashidi Endowment) 13th Century manuscript". UNESCO, Memory of The World. Retrieved 2019-04-08. ^ Nasr, Seyyed Hossein (1992). "Oral Transmission and The Book in Islamic Education: The Spoken and The Written Word". Journal of Islamic Studies. 3 (1): 1–14. doi:10.1093/jis/3.1.1. ^ Nanji, Azim (2008). Landolt, Hermann; Sheikh, Samira; Kassam, Kutub, eds. An Anthology of Ismaili Literature: A Shi'i Vision of Islam. London: IB Tauris. p. xiii. ^ Sibai, Mohamed Makki (1987). Mosque libraries: An Historical Study. Mansell Publishing Limited. p. 71. ISBN 978-0-7201-1896-4. ^ Chief among the libraries destroyed by the Mongol hordes was that of the Shia Ismaili Muslim community who occupied a network of mountain fortresses – lead from the castle of Alamut – beginning from the end of the eleventh century to about 1256. "The Fatimids and their successors at Alamut were great lovers and patrons of books, and their vast libraries attracted scholars of every creed from far and wide. The Imam al-Hakim even provided ink, pens, paper, and inkstands free of charge for all who sought learning in the 'House of Knowledge' (dār al-ʿilm). We can only imagine the horror the Ismailis would have felt when they witnessed the destruction of the literary legacy they had so painstakingly fostered. Al-Maqrizi (d. 845/1442) describes how great hills of ashes were formed when the slaves and maids of the Luwata Berber tribe burned the Fatimid books. As an act of further desecration, they used the precious bindings of the volumes to make sandals for their feet. Similarly, Juwayni exults at torching the Ismaili library of Alamut, "the fame of which", he adds, "had spread throughout the world". See, Virani, Shafique N. (2007). The Ismailis in the Middle Ages: A History of Survival, a Search for Salvation. Oxford University Press. ^ Esposito, John L., ed. (1995). The Oxford Encyclopedia of the Modern Islamic World. Oxford University Press. ISBN 978-0-19-506613-5. ^ "Montecassino, one of the most important libraries in the world". crossingitaly.net. 2012. Retrieved 6 March 2012. ^ Streeter, Burnett Hillman (2011). The Chained Library. Cambridge University Press. ISBN 978-1-108-02789-2. Retrieved 6 March 2012. ^ Lyons, Martyn (2011). Books: A Living History. Los Angeles: J. Paul Getty Museum. p. 38. ^ Putnam, Geo. Haven (1962). Books and Their Makers in the Middle Ages. Hillary. ^ This section on Roman Renaissance libraries follows Kenneth M. Setton, "From Medieval to Modern Library" Proceedings of the American Philosophical Society 104.4, Dedication of the APS Library Hall, Autumn General Meeting, November 1959 (August 1960:371–90) [372 ff]. ^ Stockwell, Foster (2001). A history of information storage and retrieval. McFarland. p. 93. ISBN 978-0-7864-5088-6. Retrieved 3 March 2012. ^ "St Wulfram's Church". Historic Grantham. Archived from the original on 16 January 2010. ^ a b Murray, Stuart (2012). The library: an illustrated history. New York: Skyhorse Pub. p. 115. ISBN 978-1-60239-706-4. OCLC 277203534. ^ Anon. "Norwich City Library 1608–1737: The Minutes, Donation Book and Catalogue of Norwich City Library, Founded in 1608". Norfolk Record Society. Norfolk Record Society. Archived from the original on 11 July 2010. Retrieved 18 November 2009. ^ Anon. "Welcome to Chetham's Library". Chetham's Library Home page. Retrieved 18 November 2009. ^ Hobson, Anthony "Open Shelves", TLS, 8 December 2006, 9. ^ Stockwell, Foster (2000). A History of Information and Storage Retrieval. North Carolina: McFarland & Company. ISBN 978-0-7864-0840-5. ^ George Clark, The Later Stuarts: 1616–1714 (2nd ed. 1956) p 158. ^ a b Raven, James. "Libraries for sociability: the advance of subscription library." The Cambridge History Of Libraries In Britain And Ireland. 3 vols. New York: Cambridge University Press, 2006, p. 251. ^ Feltham, John. "Circulating Libraries". Picture of London, for 1807 (8th ed.). London: Richard Phillips. ^ Eliot, Simon. "Circulating libraries in the Victorian age and after." The Cambridge History Of Libraries In Britain And Ireland. 3 vols. New York: Cambridge University Press, 2006, pp. 125–26. ^ Forster, Geoffrey, and Alan Bell. "The subscription libraries and their members." The Cambridge History of Libraries in Britain And Ireland. 3 vols. New York: Cambridge University Press, 2006, pp. 147–48. ^ Kaufman, Paul. Libraries and Their Users. p. 29. The Library Association. 1969. Print. ^ Murray, Stuart (2009). The Library: An Illustrated History. Skyhorse Publishing. pp. 145–47. ISBN 1-60239-706-6. ^ Murray, Stuart (2009). The Library: An Illustrated History. Chicago: Skyhorse Publishing. p. 119. ^ Dunton, Larkin (1896). The World and Its People. Silver, Burdett. p. 38. ^ a b c One or more of the preceding sentences incorporates text from a publication now in the public domain: Wiley, Edwin (1920). "Library Architecture and Construction" . In Rines, George Edwin. Encyclopedia Americana. ^ Priebe, Paul M. (1982). "From Bibliothèque du Roi to Bibliothèque Nationale: The Creation of a State Library, 1789–1793". The Journal of Library History. 17 (4): 389–408. JSTOR 25541320. ^ "History of the Public Libraries Act". Archived from the original on 16 March 2014. ^ "Anniversary of first public library". BBC News. September 5, 2002. Retrieved April 14, 2010. ^ Harris, Michael H. (1984). The History of Libraries in the Western World. London: Scarecrow Press. ISBN 978-0-8108-1666-4. ^ Shera, Jesse H. (1949). Foundations of the Public Library: The Origins of the Public Library Movement in New England, 1629–1855. Chicago: University of Chicago Press. ^ deNovo (2011-01-02). "FEMA Recognizes Libraries as Essential Community Organizations". Cedar Rapids Public Library. Retrieved 2019-03-23. ^ Rose, Joel (2013-08-12). "For Disaster Preparedness: Pack A Library Card?". NPR.org. Retrieved 2019-03-23. ^ Ryan, S (2013). "'An Idea Likely Too Big': John B. Stetson University's Pursuit of an Academic Carnegie Library in the Early Twentieth Century". Library & Information History. 29 (1): 38–58. doi:10.1179/1758348912Z.00000000027. ^ "The Bill & Melinda Gates Foundation's U.S. Library Program distributes final round of grant applications". Bill & Melinda Gates Foundation. Retrieved 2019-03-26. ^ "The Amazing Story of Kentucky's Horseback Librarians (10 Photos)". Archive Project. Retrieved 19 May 2017. ^ "St. George Library Workshops". utoronto.ca. ^ "The Role of Academic Libraries in Universal Access to Print and Electronic Resources in the Developing Countries, Chinwe V. Anunobi, Ifeyinwa B. Okoye". Unllib.unl.edu. Retrieved 9 September 2012. ^ "Library Publishing, or How to Make Use of Your Opportunities". LePublikateur. 2018-05-21. Retrieved 2018-06-15. ^ One or more of the preceding sentences incorporates text from a publication now in the public domain: Modell, David A. (1920). "Children's Libraries" . In Rines, George Edwin. Encyclopedia Americana. ^ "Paws to read". Retrieved 1 April 2013. ^ Lor, P.J. ; Sonnekus, E.A.S. (1997). "Guidelines for Legislation for National Library Services" Archived 13 August 2006 at the Wayback Machine, IFLA. Retrieved on 10 January 2009. ^ Celano, D., & Neumann, S.B. (2001). The role of public libraries in children's literacy development: An evaluation report. Pennsylvania, PA: Pennsylvania Library Association. ^ Cohen, L.B. (2007). "A Manifesto for our time". American Libraries. 38: 47–49. ^ Jaeger, Paul T.; Bertot, John Carol; Gorham, Ursula (January 2013). "Wake Up the Nation: Public Libraries, Policy Making, and Political Discourse". The Library Quarterly: Information, Community, Policy. 83 (1): 61–72. doi:10.1086/668582. JSTOR 10.1086/668582. ^ Ehrenhaft, George; Howard Armstrong, William; Lampe, M. Willard (August 2004). Barron's pocket guide to study tips. Barron's Educational Series. p. 263. ISBN 978-0-7641-2693-2. Retrieved 2 March 2012. ^ Champneys, Amian L. (2007). Public Libraries. Jeremy Mills Publishing. p. 93. ISBN 978-1-905217-84-7. Retrieved 8 March 2012. ^ "Audrey Wood: An Inventory of Her Collection at the Harry Ransom Humanities Research Center." www.hrc.utexas.edu. Retrieved April 22, 2015. ^ Young, Heartsill (1983). ALA Glossary of Library and Information Science. Chicago: American Library Association. p. 188. ISBN 978-0-8389-0371-1. OCLC 8907224. ^ "Association of Research Libraries (ARL) :: Member Libraries". arl.org. 2012. Retrieved 2 March 2012. ^ "RLUK: Research Libraries UK". RLUK. Retrieved 9 January 2013. ^ "SPSTL SB RAS". www.spsl.nsc.ru. Retrieved 2017-01-26. ^ Chowdhury, G.G. ; Foo, C. (2012). Digital Libraries and Information Access: research perspectives. Chicago: Neal-Schuman. pp. 2–3. ISBN 978-1-55570-914-3. OCLC 869282690. ^ Chowdhury & Foo (2012), pp. 3–4. ^ Chowdhury & Foo (2012), p. 49. ^ Borgman, Christine L. (2007). Scholarship in the digital age: information, infrastructure, and the Internet. Cambridge: MIT Press. p. 88. ISBN 978-0-262-02619-2. OCLC 181028448. ^ a b Chowdhury & Foo (2012), p. 211. ^ "Library classification". britannica.com. Encyclopædia Britannica. Retrieved 17 October 2017. ^ Morris, V. & Bullard, J. (2009). Circulation Services. In Encyclopedia of Library and Information Sciences (3rd ed.). ^ Stueart, Robert; Moran, Barbara B.; Morner, Claudia J. (2013). Library and information center management (Eighth ed.). Santa Barbara: Libraries Unlimited. ISBN 978-1-59884-988-2. OCLC 780481202. ^ Bhattacharjee, Pijush Kanti (2010). "Modified Dewey Decimal Classification Theory for Library Materials Management". International Journal of Innovation, Management and Technology. 1 (3): 292–94. ^ "ISO – Technical committees – TC 46 – Information and documentation". ISO.org. Retrieved 7 March 2010. ^ "ISO – ISO Standards – TC 46 – Information and documentation". ISO.org. Retrieved 7 March 2010. ^ Bennett, Scott (Apr 2009). "Libraries and Learning: A History of Paradigm Change". Portal: Libraries and the Academy. 9 – via ProQuest. ^ Weiss, S.C. (2003). "The origin of library instruction in the United States, 1820–1900". Research Strategies. 19 (3/4): 233–43. doi:10.1016/j.resstr.2004.11.001. ^ Mattson, K. (2000). "The librarian as secular minister to democracy: The life and ideas of John Cotton Dana". Libraries & Culture. 35 (4): 514–34. ^ Robinson, T.E. (2006). "Information literacy: Adapting to the media age". Alki. 22 (1): 10–12. ^ Sloan, B; White, M.S.B. (1992). "Online public access catalogs". Academic and Library Computing. 9 (2): 9–13. ^ Mamis, Joshua (25 November 2011). "Dewey Decimal didn't die". New Haven Independent. Retrieved 17 March 2012. ^ Pantzar, Katja (September 2010). "The humble Number One: Finland". This is Finland. Retrieved 17 March 2012. ^ Applegate, Rachel. "Whose Decline? Which Academic Libraries are "Deserted" in Terms of Reference Transactions?" Reference & User Services Quarterly; 2nd ser. 48 (2008): 176–89. Print. ^ University of California Library Statistics 1990–91, University-wide Library Planning, University of California Office of the President (July 1991): 12; University of California Library Statistics July 2001, 7, Ucop.edu Archived 2 July 2010 at the Wayback Machine. Retrieved 17 July 2005; University of California Library Statistics July 2004, 7, Ucop.edu Archived 2 July 2010 at the Wayback Machine. Retrieved 17 July 2005. ^ Striphas, Ted. The Late Age of Print: Everyday Book Culture From Consumerism to Control. New York City: Columbia University Press, 2009. Print. ^ Mostafa, J (2005). "Seeking Better Web Searches". Scientific American. 292 (2): 51–57. ^ a b Bell, S. (15 May 2005). "Backtalk: don't surrender library values". Library Journal. Archived from the original on 12 June 2012. Retrieved 20 April 2010. ^ Vrana, R., and Barbaric, A. (2007). "Improving visibility of public libraries in the local community: a study of five public libraries in Zagreb, Croatia". New Library World; 108 (9/10), pp. 435–44. ^ a b CILIP (2010). "An introduction to information literacy". CILIP. London. Archived from the original on 16 June 2011. Retrieved 13 April 2010. ^ Kenney, B. (15 December 2004). "Googlizers vs. Resistors: library leaders debate our relationship with search engines". Library Journal. Archived from the original on 8 June 2005. Retrieved 26 March 2010. ^ "SCREW YOU, FEDS! Dozen or more US libraries line up to run Tor exit nodes". Theregister.co.uk. Retrieved 2015-09-21. ^ "International Federation of Library Associations and Institutions (IFLA)". ifla.org. 2012. Retrieved 3 March 2012. ^ "Welcome to Indian Library Association". Ilaindia.net. Retrieved 9 September 2012. ^ "Welcome to Indian Association of Special Libraries and Information Centers". Iaslic1955.org.in. 3 September 1955. Retrieved 9 September 2012. ^ "Bengal Library Association". Blacal.org. Retrieved 9 September 2012. ^ "Pakistan Library Association". Pla.org.pk. Retrieved 21 June 2013. ^ "Pakistan Librarians Welfare Organization". Librarianswelfare.org. Retrieved 21 June 2013. ^ Rowlands, Ian; Nicholas, David; Williams, Peter; Huntington, Paul; Fieldhouse, Maggie; Gunter, Barrie; Withey, Richard; Jamali, Hamid R.; Dobrowolski, Tom; Tenopir, Carol (2008). "The Google generation: the information behaviour of the researcher of the future". Aslib Proceedings. 60 (4): 290–310. doi:10.1108/00012530810887953. ^ Miller, Ellen G. (2009). "Hard Times = A New Brand of Advocacy". Georgia Library Quarterly. 46 (1). Irwin, Raymond (1947). The National Library Service [of the United Kingdom]. London: Grafton & Co. x, 96 p.
Lewanski, Richard C. (1967). Lilbrary Directories [and] Library Science Dictionaries, in Bibliography and Reference Series, no. 4. 1967 ed. Santa Barbara, Calif.: Clio Press. N.B. : Publisher also named as the "American Bibliographical Center". Robert K. Logan with Marshall McLuhan. The Future of the Library: From Electric Media to Digital Media. New York: Peter Lang Publishing. Monypenny, Phillip, and Guy Garrison (1966). The Library Functions of the States [i.e. the US]: Commentary on the Survey of Library Functions of the States, [under the auspices of the] Survey and Standard Committee [of the] American Association of State Libraries. Chicago: American Library Association. xiii, 178 p.
Murray, Suart A.P. (2009). The Library an Illustrated History. New York: Skyhorse Publishing. ISBN 978-0-8389-0991-1. Herrera-Viedma, E.; Lopez-Gijon, J. (2013). "Libraries' Social Role in the Information Age". Science. 339 (6126): 1382. doi:10.1126/science.339.6126.1382-a. PMID 23520092. Wikimedia Commons has media related to Library. Look up library in Wiktionary, the free dictionary. Dana, John Cotton (1920). "Libraries, Special, Commercial and Industrial" . In Rines, George Edwin. Encyclopedia Americana. Rines, George Edwin, ed. (1920). "Library Data" . Encyclopedia Americana. Rines, George Edwin, ed. (1920). "Library Publications" . Encyclopedia Americana. Walter, Frank K. (1920). "Rural Libraries" . Encyclopedia Americana. Tedder, Henry Richard; Brown, James Duff (1911). "Libraries" . Encyclopædia Britannica (11th ed.). Paton, James Morton; Charles Alexander Nelson; Melvil Dewey (1905). "Libraries" . New International Encyclopedia. Champlin, John D. (1879). "Library" . The American Cyclopædia. This page was last edited on 18 April 2019, at 02:47 (UTC).